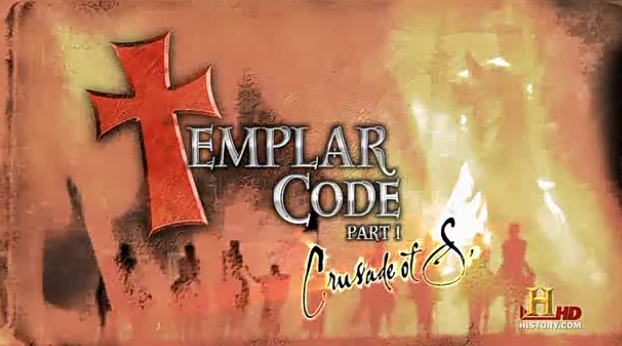 The knights templar, a holy order, God’s personal malitia. 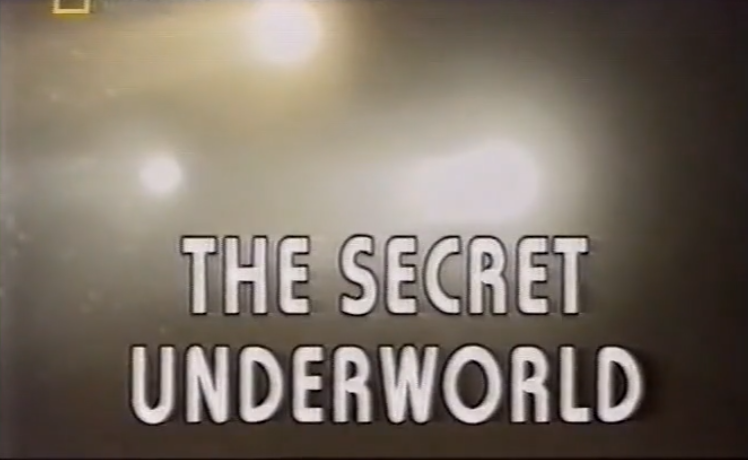 A society so secret, that it’s true purpose is debated to this day. At First glorified, then accused. Just who where the knights templar, heretics, a brotherhood of treasure hunters, or as books like the Da Vinci Code suggest, keepers of secret knowledge? The knights themselves left many clues passed down from generation to generation hidden in ancient manuscripts. scratched into the stone walls of a prisons. Secrets waiting to be deciphered by those adept enough to crack the Templar Code. The Spirit Hunters follows anthropologist Glenn Shepard as he lives with and learns from the Machiguenga Indians, a remote ethnic group that inhabits Peru’s upper Amazon jungle. The core of Machiguenga beliefs center around their view of the rainforest and the spirits that inhabit it. By ingesting the hallucinogen Ayahuasca, the Machiguenga are able to perceive the spirit world of the rainforest that surrounds them. This 60-minute documentary is narrated by James Earl Jones. Written and co-produced by Kim MacQuarrie. In 1986 a group of Romanian scientists working near the Black Sea stumbled upon one of the most amazing discoveries of this century, one that would revolutionize our understanding of what life is and where it came from. Geologist and cave explorer, Christian Lascu, was inspecting a series of six test wells at a site where the government was planning on building a power station, the first five bore holes yielded nothing unusual and the sixth looked equally unpromising at first. The workers were inside and said they found a small hole. The geologist dug and realized there was a cave there. His task was to explore the well and insure that the limestone bedrock would support the foundations of the power station. The strong sulphurous smell at the bottom drew him on into the unknown, he reached a small sulforous lake and saw many small animals. He knew immediately this cavern was unique, where had these bizarre animals come from and how could they survive in this hostile environment deep underground? Robert Beckford explores the historical evidence for claims that Jesus had brothers and sisters, cousins, aunts, uncles and nephews, as well as a deep friendship with Mary Magdalene. Beckford and many other theologians believe that Jesus did indeed have an extended family that survived some 300 years after his death. However, they have been airbrushed from history and excised from the Bible as the result of a power struggle in the early church. The idea that Jesus was a divine being is backed by the claim that his mother Mary was a virgin and that his birth was the miraculous work of God. 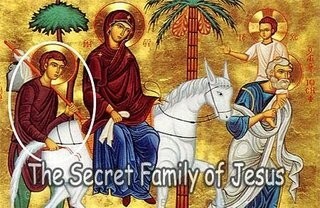 There is evidence from the Gospels and other documents that Mary and Joseph had other children besides Jesus, and that he grew up in an ordinary Jewish family, surrounded by brothers and sisters. For most Christians Mary’s virginity is central to their faith, and many consider it heresy to suggest that Jesus was not her only child. The Tomb of the Red Queen is a burial chamber containing the remains of an unknown noblewoman located inside Temple XIII in the ruins of the ancient Maya city of Palenque, now the Palenque National Park, in the Chiapas state in southern Mexico. It has been dated to between 600 and 700 A.D. The tomb was discovered in 1994 by the Mexican archeologist Arnoldo Gonzalez Cruz. It takes its popular name from the fact that the remains of the noblewoman and the objects in the sarcophagus were covered with bright red cinnabar powder when the tomb was discovered. Discover the secrets of the identity of the Red Queen in this amazing documentary. 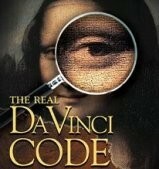 The Real Da Vinci Code ought to be the last word among plentiful video debates over the validity of startling claims in Dan Brown’s bestselling novel The Da Vinci Code. Produced by Britain’s Channel Four Television and broadcast on the Discovery Channel in the U.S., the irreverent but no-nonsense documentary systematically dismantles so called historical facts Brown embraced (not only in his story, but in interviews) to support the idea that the Holy Grail is actually the blood lineage of Jesus, carried by descendants of his child by Mary Magdalene. Hosted by Tony Robinson (Blackadder’s Baldrick), The Real Da Vinci Code hopscotches through France, Scotland, Israel, Italy, Spain, and America to investigate evidence that the major historical players in Brown’s alternative Grail legend, the heretical Cathars, the wealthy but persecuted Knights Templar, the secretive Priory of Sion, did the things Brown (and his research sources) said they did. The Royal Wedding of Princess Elizabeth and Lieutenant Philip Mountbatten in November 1947 was a day of national celebration. But the young couple’s path to the altar had been strewn with controversy and difficulties. Behind the smiling faces and the colourful regalia lay a story of political machination, public hostility and court intrigue. 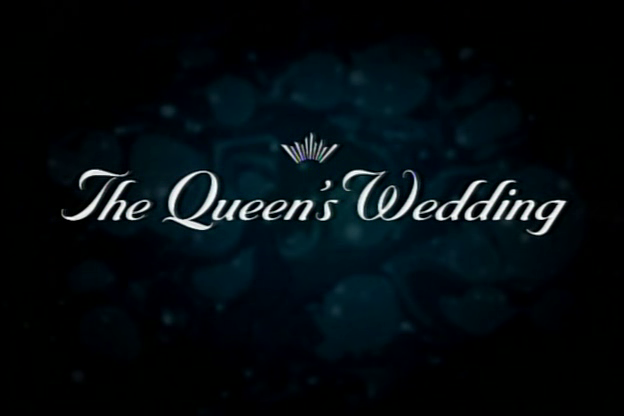 This documentary captures the story of the princess from the moment when her love life became a matter of dynastic and political importance. It shows how Philip’s suitability was called into question. The stakes could not have been much higher the popularity and therefore the future of the monarchy itself. A great granddaughter of Queen Victoria, Prince Philip’s mother married into the Greek royal family, only to see the Greek monarchy overthrown by revolution. Fleeing into exile, she suffered a severe nervous breakdown. She was locked away in mental hospitals and subjected to experimental treatments by psychiatrists, including Sigmund Freud himself but eventually fought her way back from mental illness, and became an unlikely hero of World War Two. 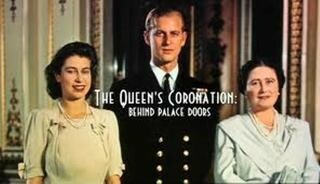 Tensions and conflict arose between the Queen Mother and Prince Philip behind the scenes leading up to Queen Elizabeth’s coronation in 1953. The Queen’s Coronation Behind Palace Doors includes dramatic re-enactments and interviews with leading royal biographers Hugo Vickers, Sarah Bradford, Tim Heald, Piers Brendon and Gyles Brandreth, Maids of Honour Lady Anne Glenconnerand and photographers’ assistants Michael Dunne and John Drysdale, and former House of Hartnell employee Michael Talboys. King George VI died prematurely on 6 February 1952, aged 56, thrusting his twenty five year old daughter Elizabeth onto the throne. The Queen Mother was forced to stand aside Elizabeth was caught in the middle. Prince Philip wanted to showcase a thoroughly modern monarchy whilst the traditionalists, including the Queen Mother, saw no reason for change. 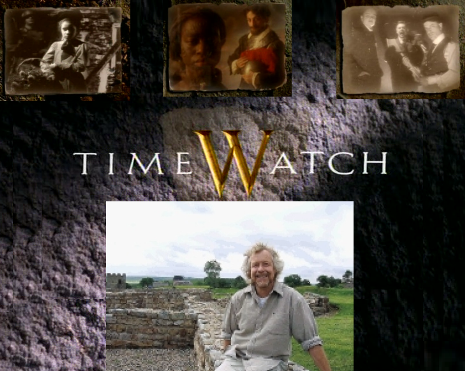 Starts with an old fashioned British Pathe title card and plays just like an old extended newsreel. 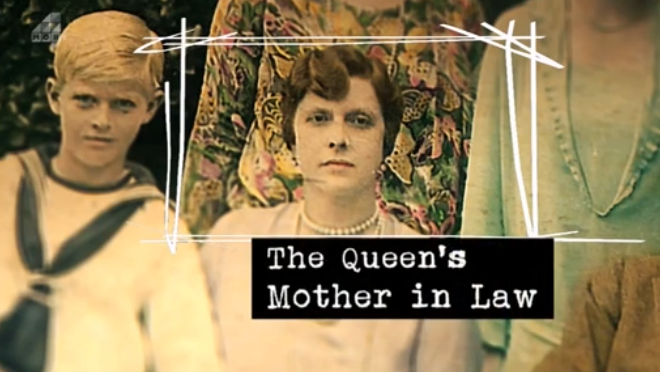 No controversy, no real questioning of the Queen Mother’s motives or choices, but an interesting first in depth look. Labelled by Hitler as the most dangerous woman in Europe but known more affectionately as the Little Duchess then the Queen Mother she reinvigorated the Royal Family. This is the story of how the nation’s favourite grandmother carved a place in her nation’s hearts forever. 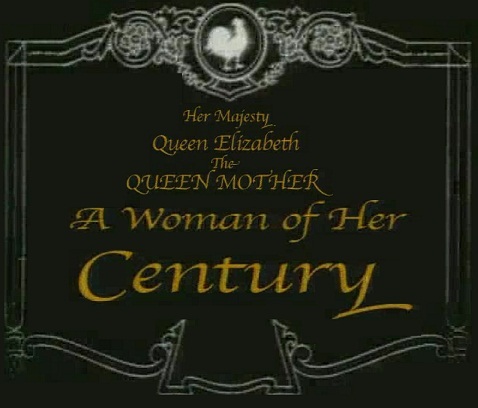 A Woman of her Century is a biographical celebration of her long and distinguished life. A charismatic original, Ivor Gurney, who prior to the Great War had suffered a nervous breakdown at the Royal College of Music, enlisted as an experiment, he actually found the war invigorating and for a while his mental health improved. 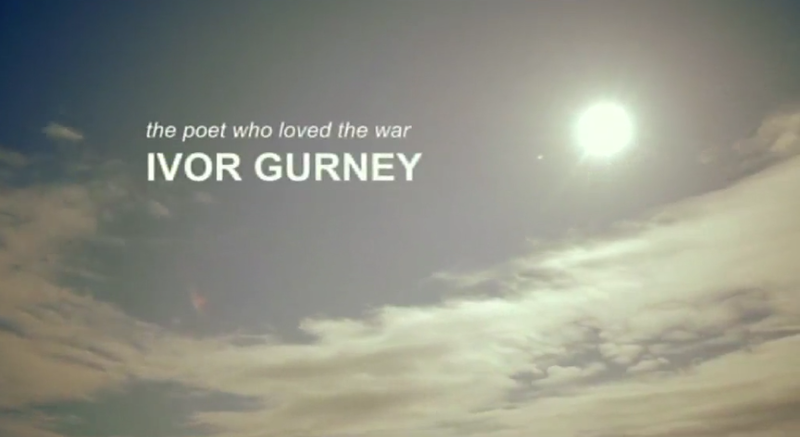 Unlike the other war poets Gurney wasn’t a commissioned officer, he was an ordinary front line soldier. A private. The poetry he wrote there is uniquely powerful, capturing the experience of the ordinary soldier, and the this documentary argues that it is the equal of the work of any of the more well known soldier poets of WWI. Over three thousand years ago, legend has it that Queen Hatshepsut, Egypt’s first female pharaoh, sent a fleet of ships to the wonderful, distant land of Punt. A bas-relief in the temple where she is entombed in Luxor shows them bringing back extraordinary treasures. But did this expedition really happen? And if it did, where exactly is the land of Punt? Simon Armitage presents the extraordinary story of the most disturbing witch trial in British history and the key role played in it by one nine year old girl. 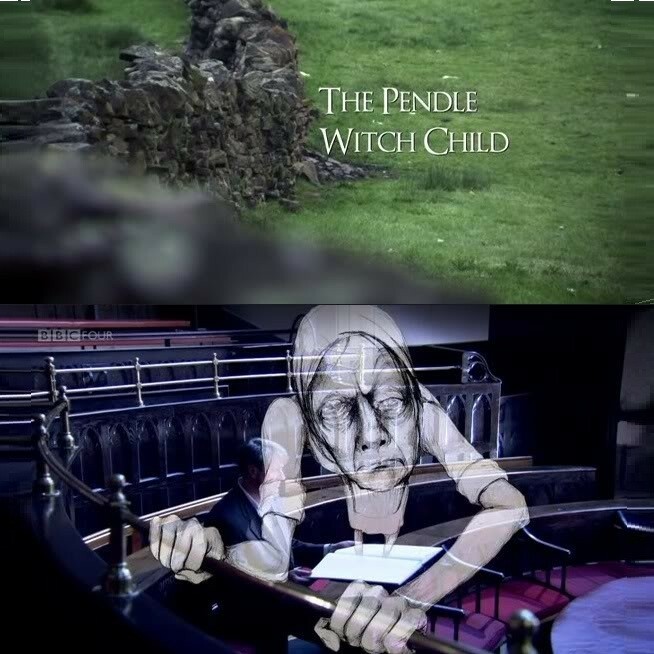 Jennet Device, a beggar girl from Pendle in Lancashire, was the star witness in the trial in 1612 of her own mother, her brother, her sister and many of her neighbours and, thanks to her chilling testimony, they were all hanged. Armitage explores the lethal power and influence of one child’s words – a story of fear, magic and demonic pacts retold partly with vivid and innovative hand drawn animation. Britain’s National Health Service celebrates its sixtieth birthday on 5 July this year. It is universally regarded as a national treasure, the most remarkable achievement of post war Britain. Yet, surprisingly, the National Health Service very nearly did not happen at all. In the months leading to its launch it was bitterly opposed, by the Tory Party, the national press and Britain’s 20,000 doctors. 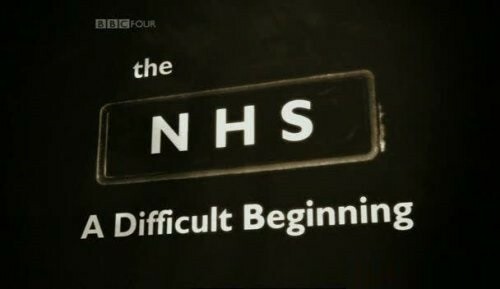 To get the NHS at all required the persistence and determination of one man, Nye Bevan, Labour’s minister of health. This film tells the extraordinary story of the six months leading up to its traumatic birth. 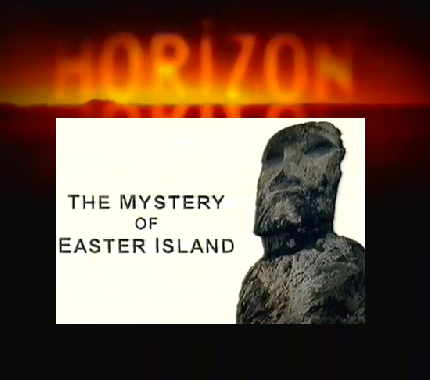 On Easter Day 1722, Dutch explorers landed on Easter Island. A civilisation isolated by 4,000 km of Pacific Ocean was about to meet the outside world for the first time in centuries. The strangers were about to find something very strange themselves, an island dotted with hundreds of huge stone statues and a society that was not as primitive as they expected. The first meeting was an immense clash of cultures. 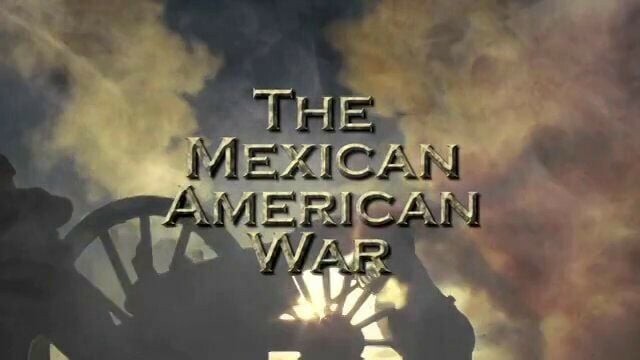 (Bloody too: the sailors killed ten natives within minutes of landing.) Where had the Islanders originally come from? 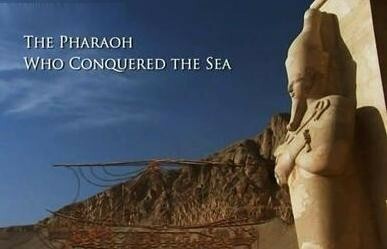 Why and how had they built the figures? Documentary about the painters Augustus John and his young protege James Dickson Innes who, in 1911, left London for the wild Arenig Valley in North Wales. Over three years, they created a body of work to rival the visionary landscapes of Matisse. The paintings were the entry point for British art into Post-Impressionism. The Arenig mountain had such a hypnotic fascination for Innes that in 1910 he committed Arenig Fawr obsessively to canvas in a free and impulsive way which, one expert said, no British artist had yet managed. His work excited John, older by nine years, into following him up to North Wales, in due course bringing his chaotic menage along too. It was a fruitful stay. In John’s paintings the mountain’s contours had to compete with a figure, invariably a sinewy female and often swathed in swirling Romany scarves, parked foursquare in the foreground. One of these women was the sultry beauty Euphemia Lamb who bedded both men (among many others) and who would break Innes’s heart. But the profounder relationship of the two men seems to have been, on a creative level, with each other and with the landscape. 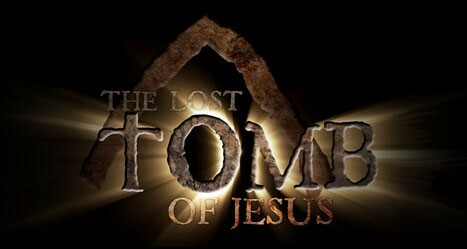 Has the tomb of Jesus Christ been found? Since the 1970s, hundreds of tombs and thousands of ossuaries (limestone bone boxes) have been discovered in the Jerusalem area. These ossuaries served as coffins in first century Jerusalem. One of these tombs was found to contain ten ossuaries. Six of the ossuaries in this tomb have inscriptions on them. As it turns out, every inscription in this particular tomb relates to the Gospels. This documentary makes a case is made that the 2,000 year old “Tomb of the Ten Ossuaries” belonged to the family of Jesus of Nazareth. The magnificent ancient city of pyramids at Caral in Peru hit the headlines in 2001. 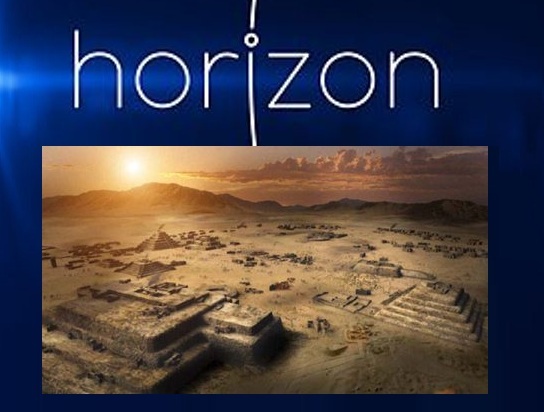 The site is a thousand years older than the earliest known civilization in the Americas and, at 2,627 B.C., is as old as the pyramids of Egypt. Many now believe it is the fabled missing link of archaeology – a “mother city”. If so, then these extraordinary findings could finally answer one of the great questions of archaeology why did humans become civilised? 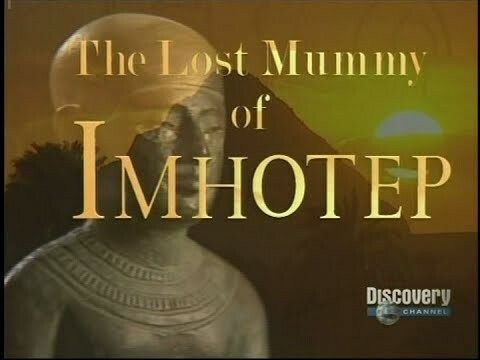 The Lost Mummy of Imhotep uncovers what may be Egypt’s fabled city of the dead and the legendary Imhotep, buried beneath the sands of Saqqara. At the dawn of Egyptian civilization, Imhotep built the first pyramid, became legendary as a physician and governed the greatest state on earth. The ancients made him a god, and Hollywood made him “The Mummy.” But few realize that the character was based on one of the most important figures in all of ancient history, a man historians have called the world’s “first known genius.” For some archaeologists, Imhotep’s lost burial site has been the Holy Grail of Egyptology. Now, at long last, Polish archaeologist Karol Mysliwiec may indeed have found him. 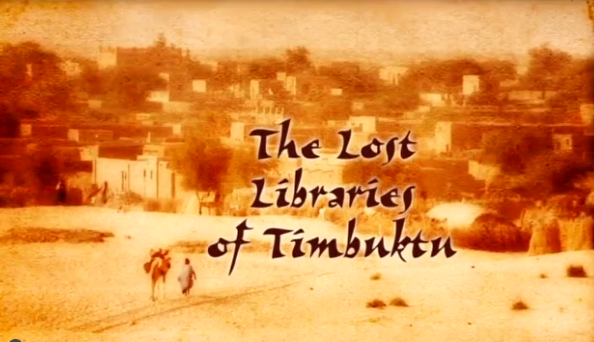 Aminatta Forna tells the story of legendary Timbuktu and its long hidden legacy of hundreds of thousands of ancient manuscripts. With its university founded around the same time as Oxford, Timbuktu is proof that the reading and writing of books have long been as important to Africans as to Europeans. Viewers meet local scholars, as well as experts from across Africa and the Western world, who elucidate just how valuable these fragile treasures are to our knowledge of Africa, Islam, and the growth of literacy outside the Western tradition. Dukedoms are created by the monarch for reasons ranging from a grateful nation rewarding a major war leader to a king acknowledging his illegitimate son. 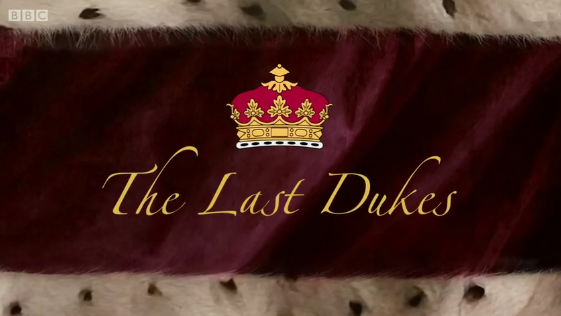 The last dukedom to be created was by Queen Victoria. As they gradually become extinct, what will become of those that remain? Do they still have power and wealth? What is it to be a duke in the 21st century? Answers come from a surprising variety of extraordinary character.